Get paid the easy way with email invoicing. Create and send professional email invoices using our free, customizable templates. Accept local and international payments. PayPal is accepted in over 200 countries and markets and our invoice templates are available in over 15 languages, giving you the choice to sell almost anywhere. 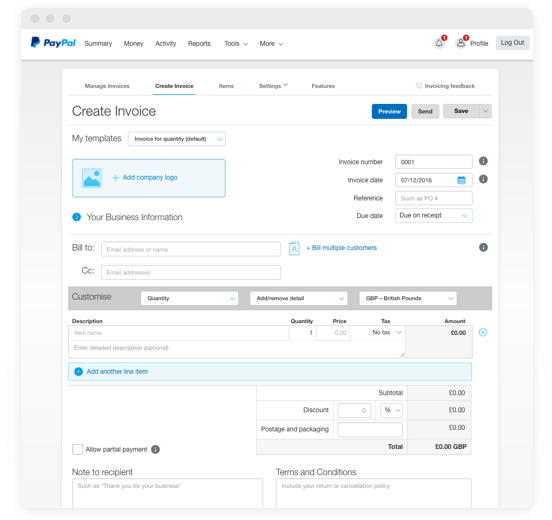 Four reasons to invoice with PayPal. Let your customers pay you via PayPal or cards. The payments get into your PayPal account within minutes. No integration required, you don’t even need a website. The PayPal checkout button is embedded into all your email invoices. Your customers can pay you in a couple of clicks, whether or not they have a PayPal account. Choose one of our professional, pre-defined templates, add your logo and tailor the invoice layout to suit your business. Send unlimited invoices, with up to 5 attachments. Manage all your payments and funds from one PayPal business account. Keep track of your invoice history and other PayPal transactions. View any unpaid invoices and send out reminders. How it works for your customers. You create an invoice and send it to your customer. 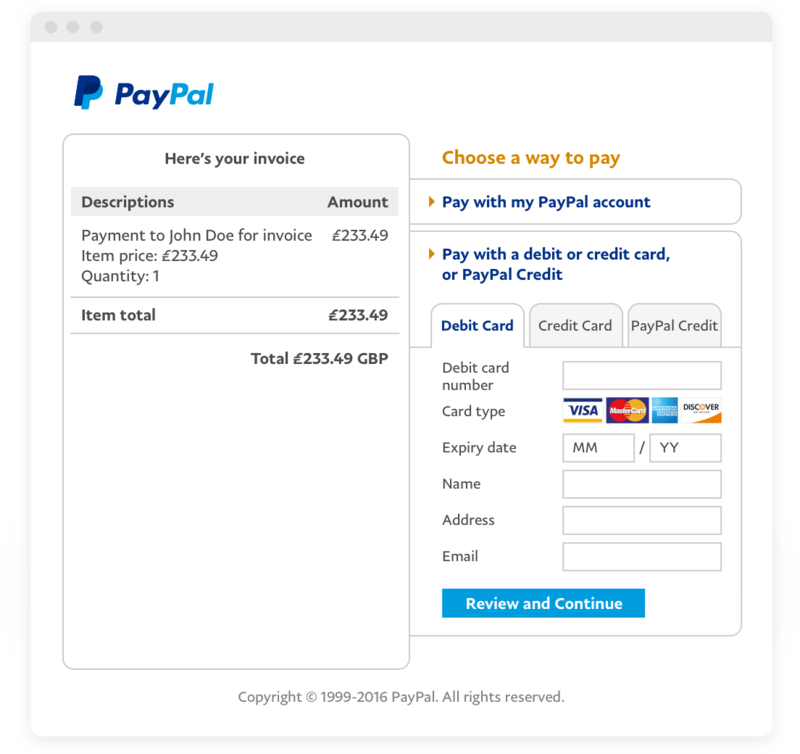 Your customer receives the email invoice and clicks on the PayPal checkout button. By clicking, they’re sent to the PayPal website where they can review and print the invoice details. They choose to pay the full amount, complete the transaction and receive confirmation of payment. 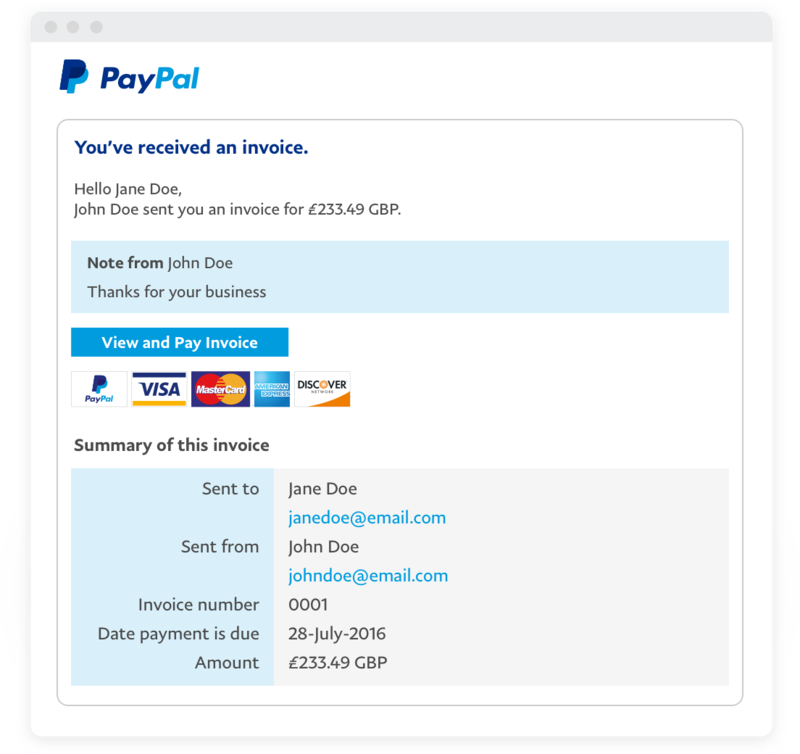 How to start sending invoices with PayPal. Sign up for a PayPal business account. 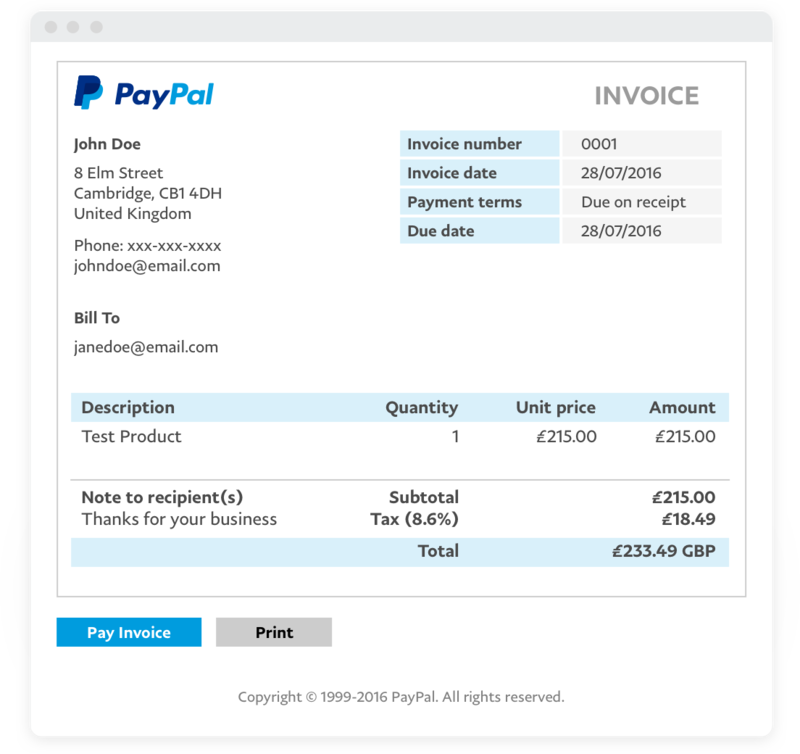 Select and customize an invoice template via your PayPal account. Email the invoice to your customers. Get paid by invoice today. Want to accept payments on your website?